Lucca is a charming Italian town in Tuscany, which is located not far away from Pisa. The city was founded on the site of the Ligurian settlement and the Roman military camp. Lucca has always been a prime location because it is built on the crossroads of important trade routes. 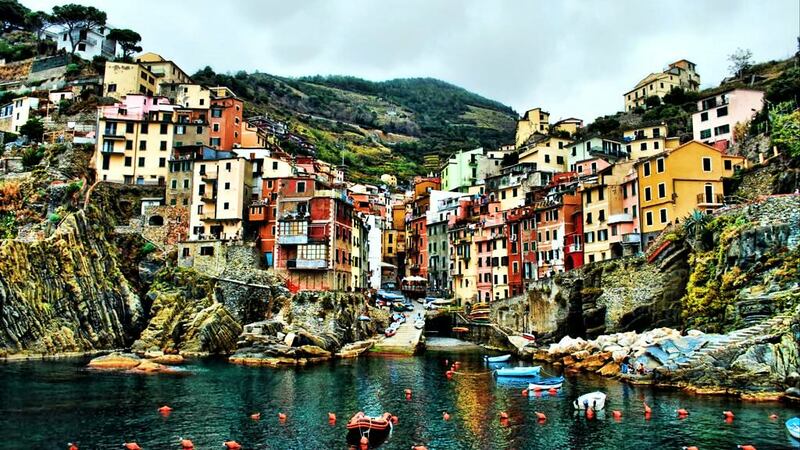 The town's name came from the Ligurian word meaning "marshy place" and was given to Lucca due to its swampy landscape. The city is surrounded by a chain of old protective walls with eleven bastions. The walls are very old, so the city’s valley was simply made on the top of them. The valley is in great condition even nowadays. In Lucca are also located two tall towers with several hundreds of steps. If you reach the top of them, you will be able to enjoy magnificent views of the city. The central streets of Lucca hide several small fountains with really tasty and clean water. An outstanding landmark is the Cathedral, which was named after Saint Martin. The very first church in its place was built in the 6th century, and in the 8th century, was given the status of a cathedral. Over the history of its existence, the cathedral was rebuilt more than once. It retains elements of decoration of various periods. On the facade of the cathedral now, you can observe the beautiful stucco molding, and frescoes that adorn inside its walls and ceiling. In the cathedral, the magnificent tombstones that Matteo Civitali created in the 15th century still remain. Lovers of painting will be impressed by medieval frescoes depicting the Madonna. On Napoleon Square, you can see one of the most mysterious historical monuments - the Ducal Palace. 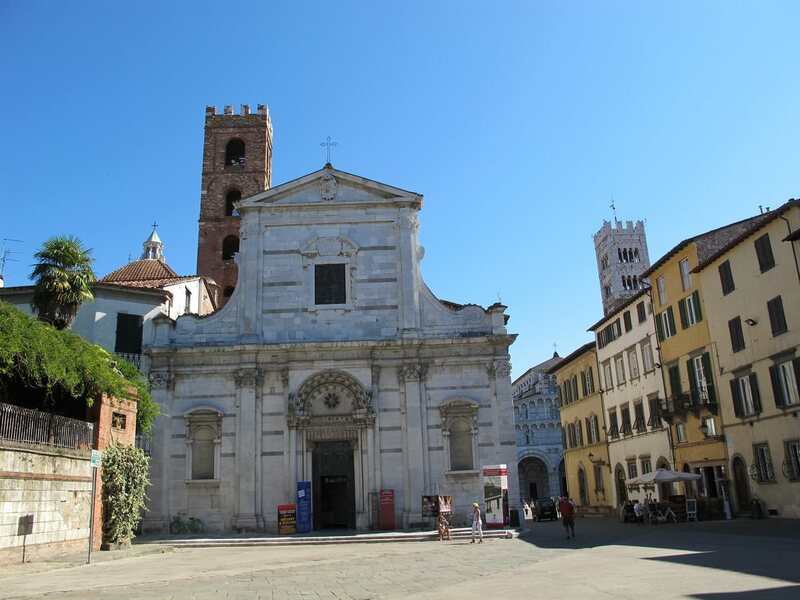 It was built in the beginning of the 14th century for the consul of Lucca, Castruccio Castracani. According to some reports, the author of the project of this palace was Giotto. Earlier on the site of the palace, there was a large fort, which by the 14th century had lost its strategic importance. Now the palace is accessible for visiting within the framework of excursions. Within its walls, an interesting collection of ancient works of art is stored. In Lucca, there is a wonderful botanical garden, which will appeal to all lovers of nature. It was founded in 1820. Many elements of its design have been preserved since the 19th century. Walking through the garden, visitors can admire exotic plants, among which are ancient sculptures and fountains, as well as a beautiful artificial pond. On the territory of the garden, there is an old physics laboratory, which was used for experiments in the 19th century. There is also an observatory and an interesting museum with a collection of rare herbariums. One of the most beautiful architectural monuments of the city is the Palazzo Pfanner. It was built in the 17th century for the wealthy Morricone family. Later, its owners were the wealthiest inhabitants of the city. The design of the palace was worked on by the best architects and artists. In the 19th century, on the estate grounds, one of the new owners opened a brewery, which worked until 1929. Now the magnificent palace is an example of Baroque style. A tour of it necessarily includes a walk through the garden surrounding the palace, which also has a refined decoration. Part of the ancient palace today is occupied by a small museum with a collection of ancient medical instruments. This guide to iconic landmarks and sights of Lucca is protected by the copyright law. You can re-publish this content with mandatory attribution: direct and active hyperlink to www.orangesmile.com. Check on the map: Distance from Lucca center - 65.8 km. Check on the map: Distance from Lucca center - 64.3 km. Check on the map: Distance from Lucca center - 62.8 km. 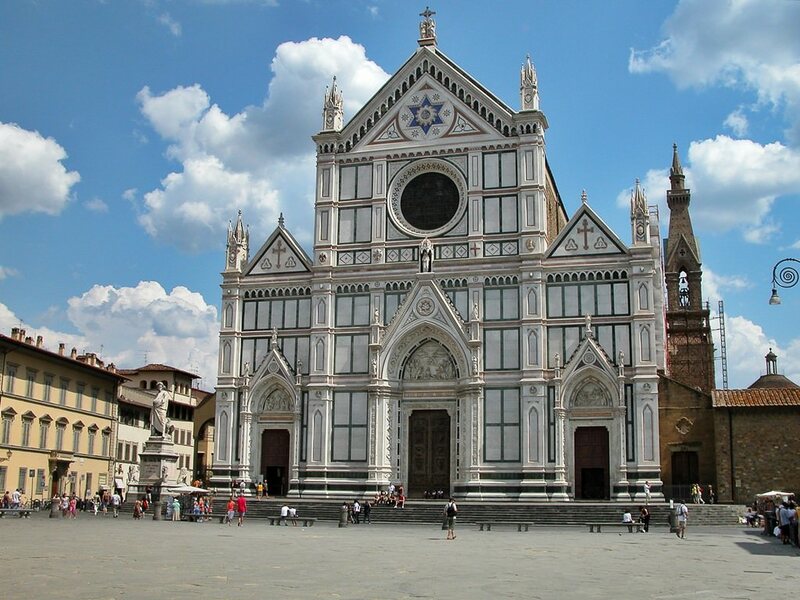 All about Lucca, Italy - sightseeings, attractions, touristic spots, architecture, history, culture and cuisine. 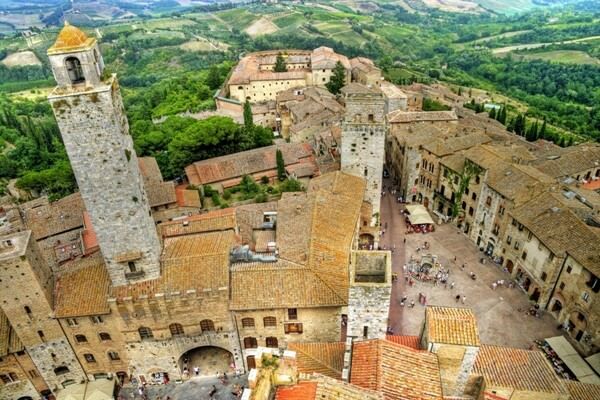 Prepare your trip together with OrangeSmile.com - find out the 'must see' things in Lucca, which places to visit, which excursions to take, where the breathtaking views are waiting for you. Planning your trip with this travel guide will help your to get the most out of Lucca in few days.